Hey ya'll and happy start of a new week! We seriously had so much fun this weekend! On Friday night, I went to my first 'Farmville Ladies Night' group and met some fabulous new ladies. We did wine spritzers and clay earring making for this month's theme. Our host does handmade clay earrings in any shape, color and glaze from dangles to studs and sells them on Etsy in her shop. 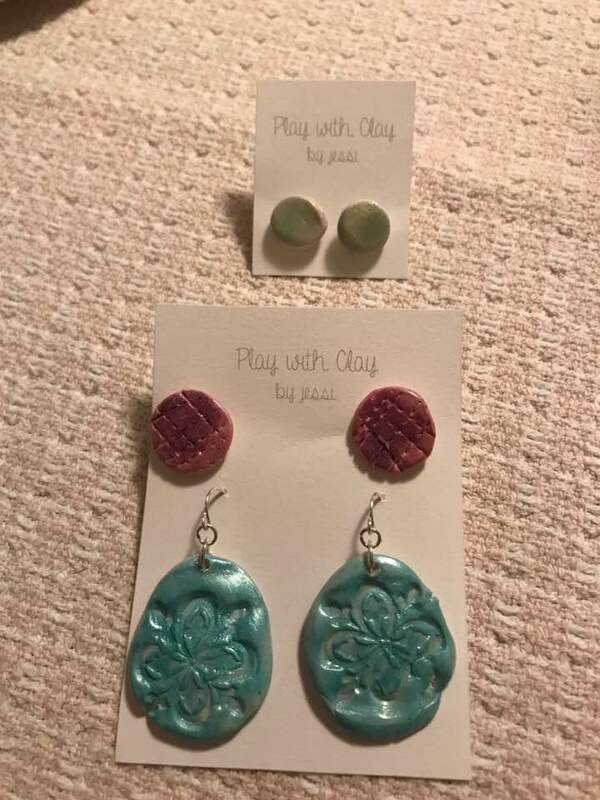 Ya'll have go to check here out - Play with Clay by Martha. She has so many options and sizes to pick from. I was a little nervous at first since I was the new kid on the block but I've already volunteered to co-host next month's meeting and I am so over the moon about these ladies already. (Fun fact: we all went to the same high school!) I've wanted to start a supper club for literally over a year and just haven't executed it yet and this will sort of push me in the right direction. I'm sure I can incorporate a similar theme or concept in future get-togethers or start one on the side and invite a lot of the same ladies I just met! 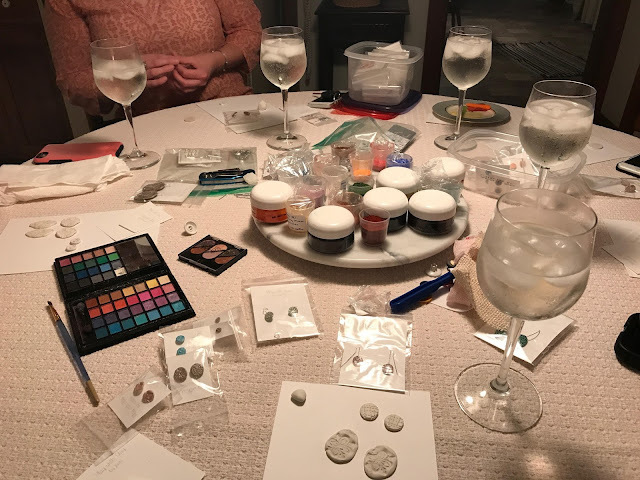 Seriously though, wine + crafts + girls time? I'm in! Here are more styles available in her shop currently! 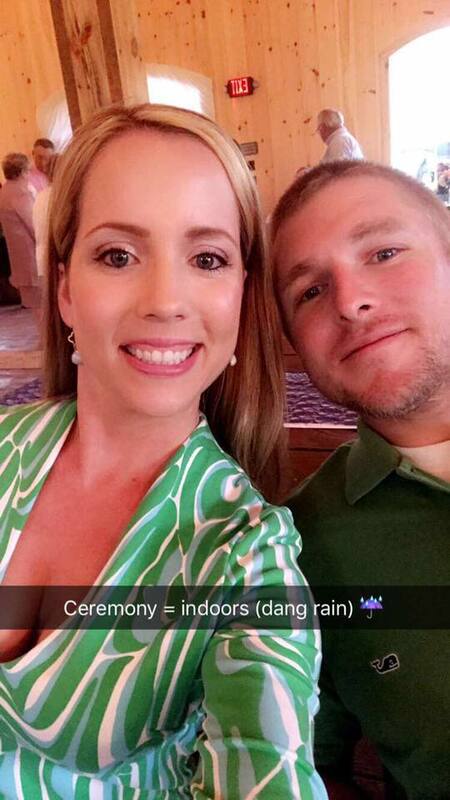 Saturday we had a friend's wedding at a new venue in town and even though it poured rain a good time was had by all! (I'm talking another one of those I'm 30 years old and cannot party like this anymore nights. ha!) On Sunday, I went to pick up Andi from my parents house and unfortunately Hubs got called out to work. I spent most of the day relaxing since it was cold and rainy and ended up doing dinner with them as well. I got home around 7 on Sunday night, changed the sheets (because fresh sheets are in my top 10 favorite things list) and went to bed early to recoup from the weekend. Linking up with Biana and Meghan and hope ya'll had a fabulous weekend as well! Farmvegas is the best, right?!?! Beautiful dress! That wedding looks gorgeous! And how fun was your girls night?! Way to get out there! Those earrings you made are so fab! Love them. 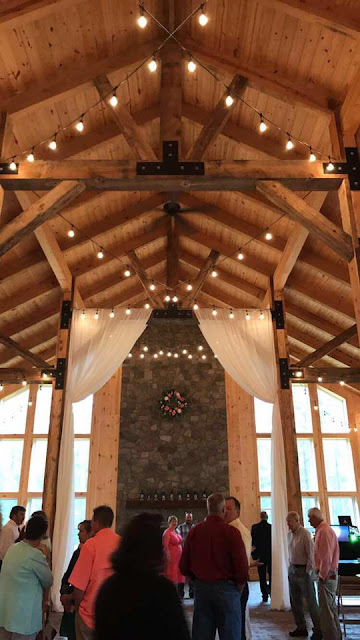 Lovely place for a wedding! That group sounds like a lot of fun. LOVE your green dress! It's perfect for spring! And what a gorgeous wedding! 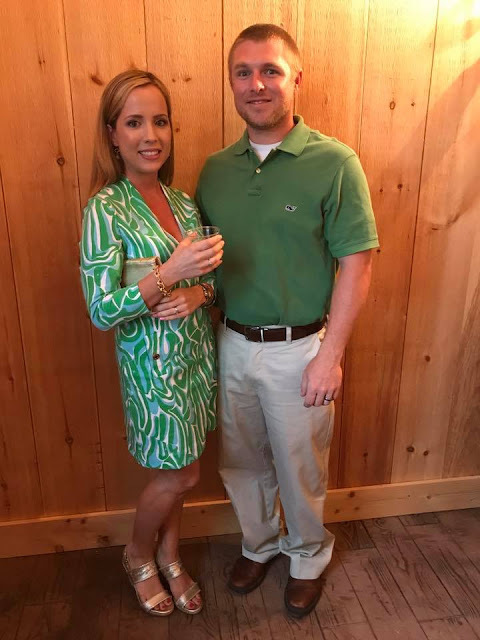 You guys have been going to lots of weddings lately! 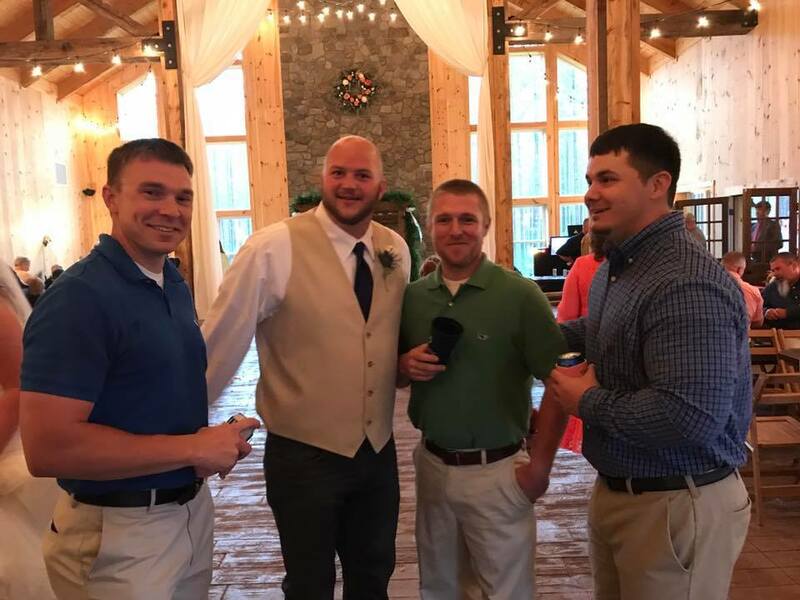 All of my friends are finally married, but a few years ago B and I were at a weddig every other weekend it seemed! Ha! Such a cute idea to do for a girl's night! I love the idea of hosting a supper club! Happy Monday! It looks like you had a fun weekend! Start the supper club! I can't wait to see it! Love the earrings, but told you that on insta already. I'm thinking about starting a playgroup in our neighborhood, but haven't taken the plunge yet. Maybe after these weddings coming up! 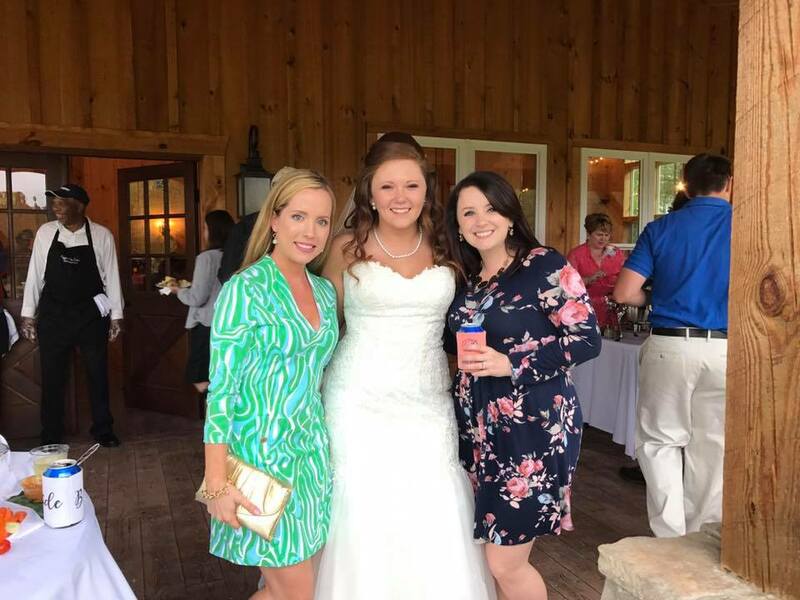 I love the dress you wore to the wedding!! I love your dress! 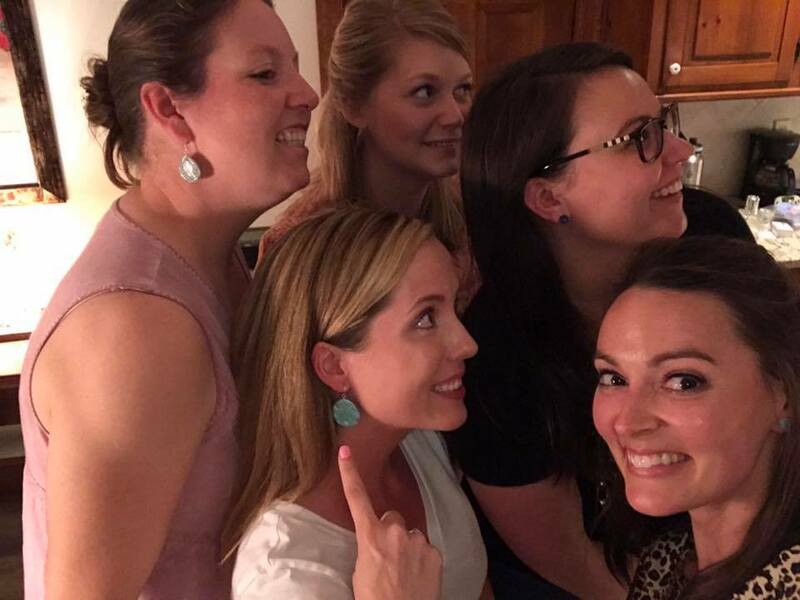 What a fun girls night, I love all the earrings. I'm so happy your ladies night went so well!!! Those things can be so nervewracking being new. I hope you're able to get a supper club going after this :) The wedding looks beautiful! Hope you have a great week! What a fun ladies night! 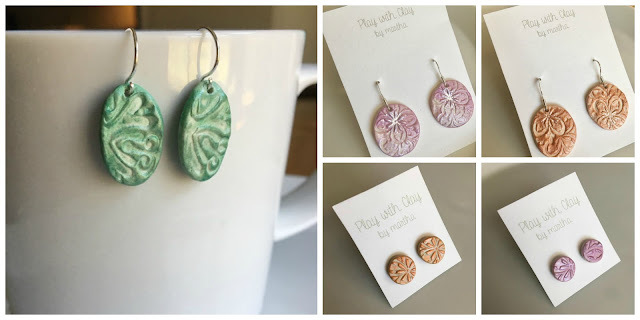 Pretty earrings! Love your Lily dress for the wedding!